This morning Ragomo was given a ticket to fly to Papua New Guinea in the afternoon forcing him to make a final decision. In his statement Ragomo said that he is not going to play for Hekari United and will instead remain with Kurukuru to continue preparations for the OFC championship. “My decision is to stay with Kurukuru but it is based solely on the fact that I want to help my country qualify for the World Cup next year,” Ragomo says. This means that Ragomo will miss out on financial and other benefits he is destined to receive if he signs up with the Papua New Guinea and OFC club champions. Ragomo also said in his statement that he does not rule out moving to Hekari United once his obligations to Kurukuru are completed. “I am interested in playing for Hekari United and I hope that I can join them later when I am available,” Ragomo says. Ragomo’s decision has been hailed by Kurukuru team manager, Mapuru Tausinga, who has described it as a courageous choice. “Elliot has made an important decision and I am sure that everyone who is close to him will support him. The country will be happy that Elliot is staying with Kurukuru,” Tausinga says. 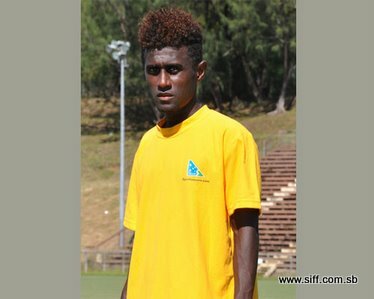 Similar praise has come from the General Secretary of the Solomon Islands Football Federation (SIFF), Eddie Ngava, who has thanked Elliot for choosing to stay with Kurukuru. “This is good news for Kurukuru and for Solomon Islands. Elliot is important to Kurukuru and his choice to remain with the team shows true leadership,” Ngava says. This news comes as another Kurukuru player, Lenson Bisili, heads over to Vanuatu to play for Amicale where he joins Jack Wetney who has been with the club since last year. The Kurukuru team management has made the statement that they expect all squad members who are playing overseas to join the team by the beginning of April.